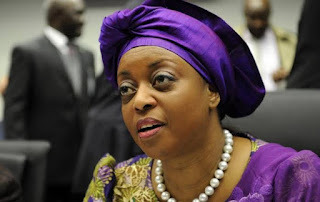 On Sunday, in Abuja, Mr Tony Orilade, Acting spokesman of the (EFCC) The Economic and Financial Crimes Commission has confirmed that the process to bring back a former Minister of Petroleum, Mrs. Deziani Alison-Madueke, from the United Kingdom has begun. This was disclosed by Mr Tony Orilade in an interview with (NAN) News Agency of Nigeria. According to Orilade, EFCC’s Operations Department had made presentation to the Legal Department to commence the process, noting that the process has commenced. He, however, said that the action had to be processed through the office of the Attorney-General of the Federation, explaining that it was not something the Commission could commence and conclude on its own. “This request to have Mrs. Alison-Madueke repatriated to Nigeria is just an aspect of Diezani’s investigation and commencement of trial,” he said. In 2017, a Federal High Court in Lagos ordered the final forfeiture of N7.6bn alleged loot recovered from the former minister to the Federal Government. Granting the application, the judge had said: “I have read the motion on notice seeking the final forfeiture of the sum of N7.6bn reasonably suspected to be proceeds of unlawful activity. In October, 2017, the Minister of Justice and Attorney-General of the Federation, Abubakar Malami, had said that Nigeria had no immediate plan to bring Alison-Madueke back home to face trial. Alison-Madueke, who is being investigated in the UK, had urged the Federal Government to have her repatriated to Nigeria to face corruption charges against her. But Malami said that bringing her back to the country would jeopardise the investigation being carried out on her in the UK. “Steps have been taken by the United Kingdom authorities on issues bordering on corrupt practices involving Nigerians. “If Nigeria feels strongly that there is need to bring Mrs. Diezani Alison-Madueke here to face charges of corruption, government will not hesitate to do that. “As things stand now, there is no need for that, since the UK Government is already investigating her,’’ he had said. The EFCC spokesman could not, however, say the point at which it became necessary to seek repatriation of the former minister.